Yeah. That’s real, supposedly. Some dude posted it on Reddit. 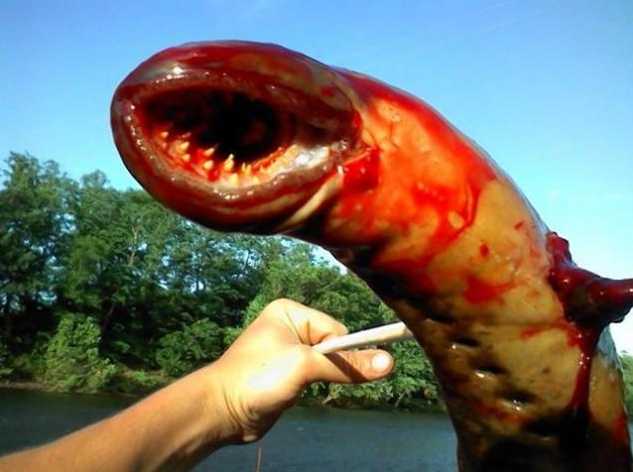 If you don’t buy into my whole “spawn of satan” theory… it’s a sea lamprey. The NY Daily News reports that a guy was fishing, “when he spotted a massive eel-like fish in the water. Using his bow and arrow, which he conveniently had on hand, he snagged the creature with a shot right through its middle.” Using his bow and arrow… written all casually… like that’s a normal thing. Hell of a shot to catch this monster. Yes, monster. 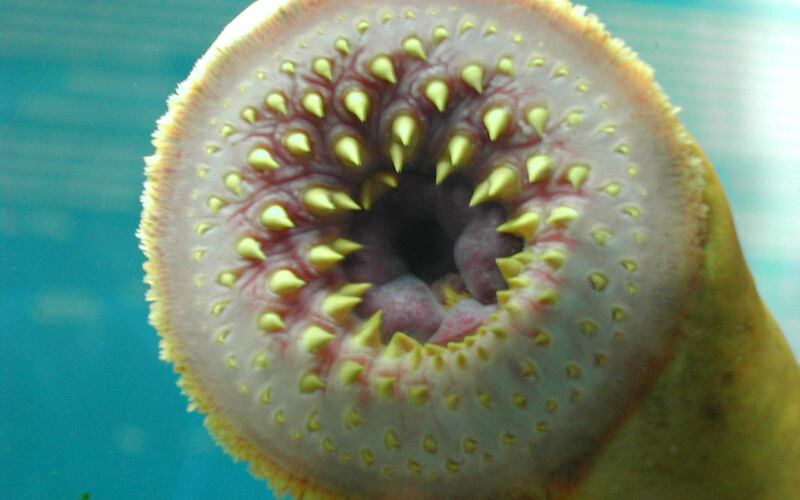 Do you know what the freaking teeth look like on a Tremor sea lamprey? I hate knowing these creatures exist. This entry was posted in News and tagged sea lampey, sea monster, sea monster teeth. Bookmark the permalink.